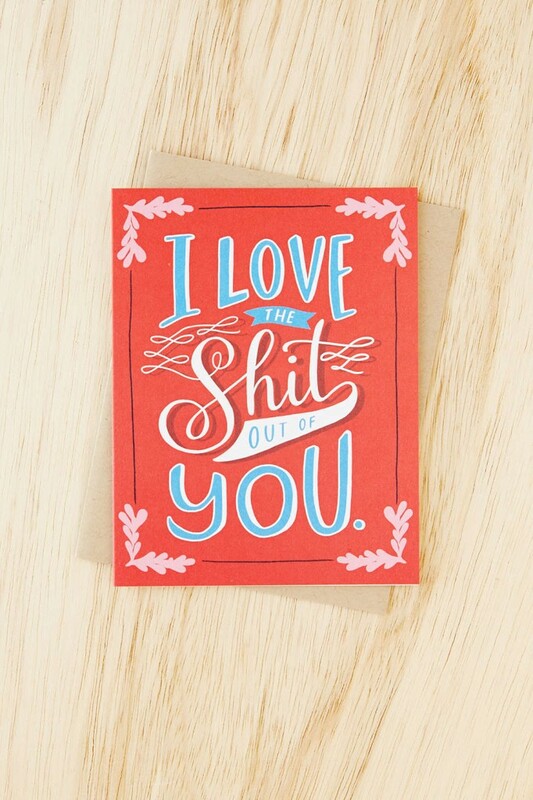 Let them know how you really feel with this handmade card from Emily McDowell. 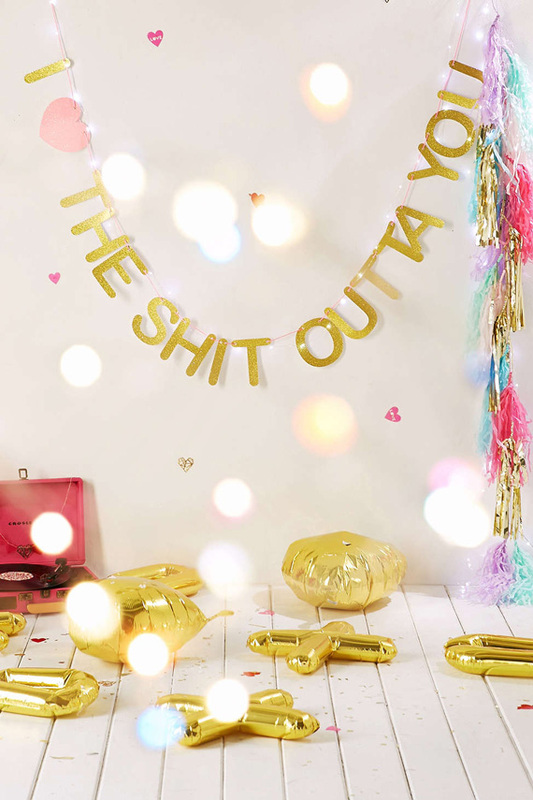 Offset printed in LA using soy ink on heavyweight matte card stock + paired with a coordinating envelope. 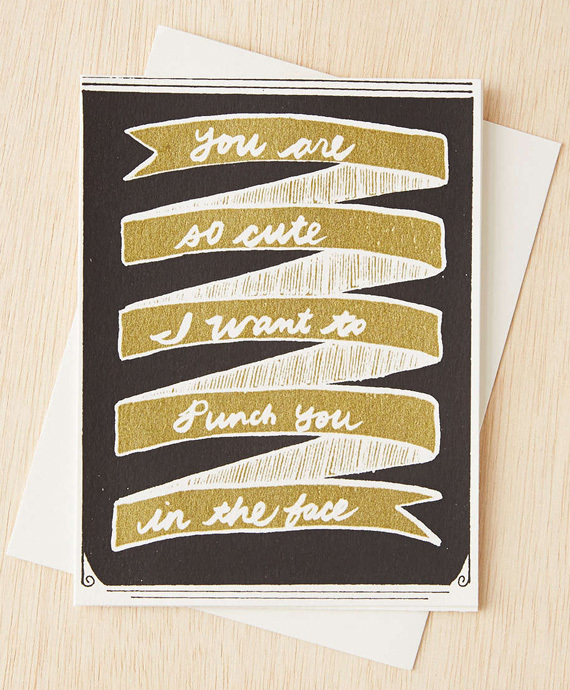 You are so cute I want to punch you in the face greeting card crafted by New Jersey’s own Nightingale Projects press. 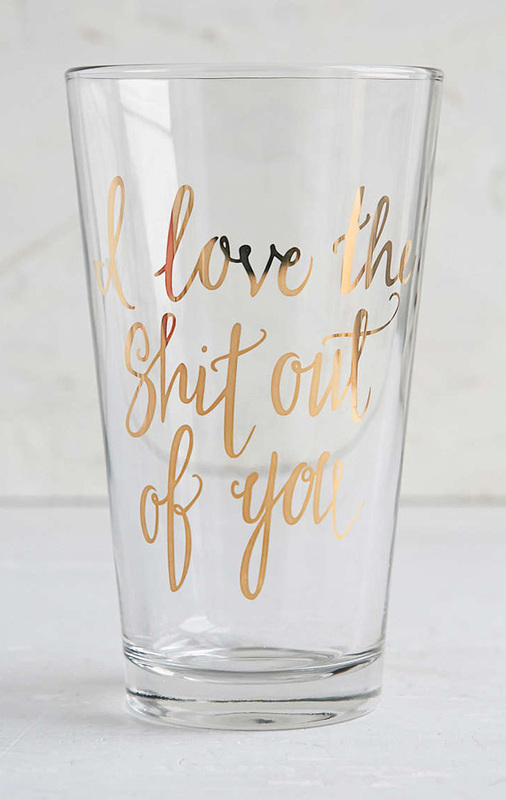 This 16oz pint glass is topped with lovely 22kgold lettering. 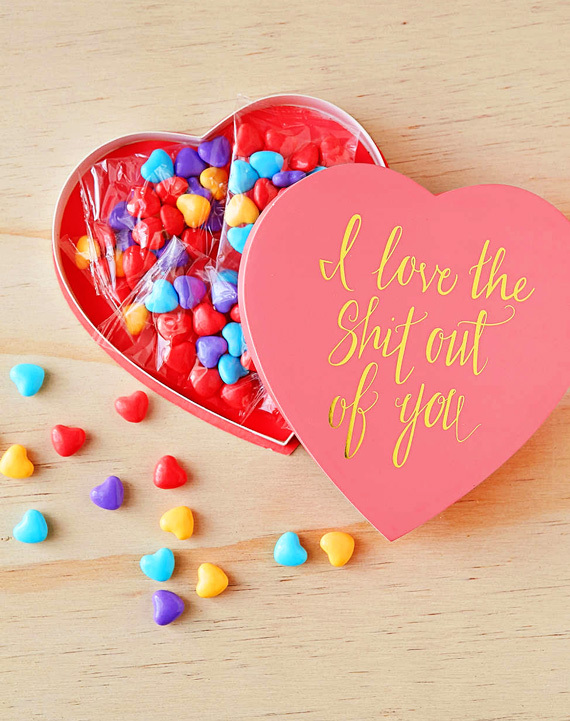 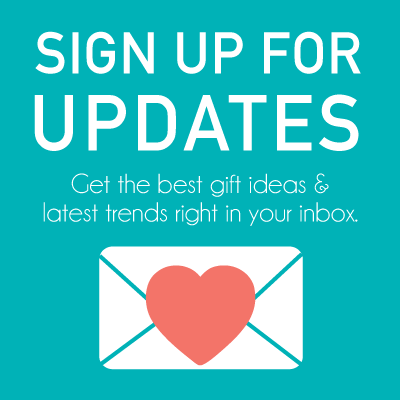 We love you, we love candy, we love this heart-shaped + candy-filled box. 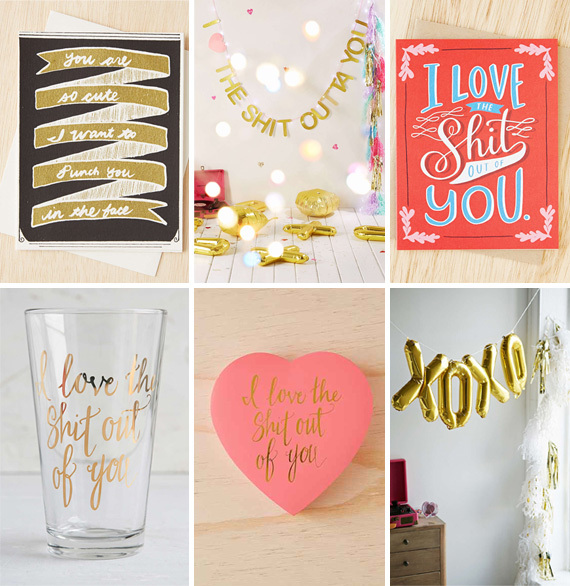 Lovely balloon kit perfect for a party or telling your bae how you really feel. 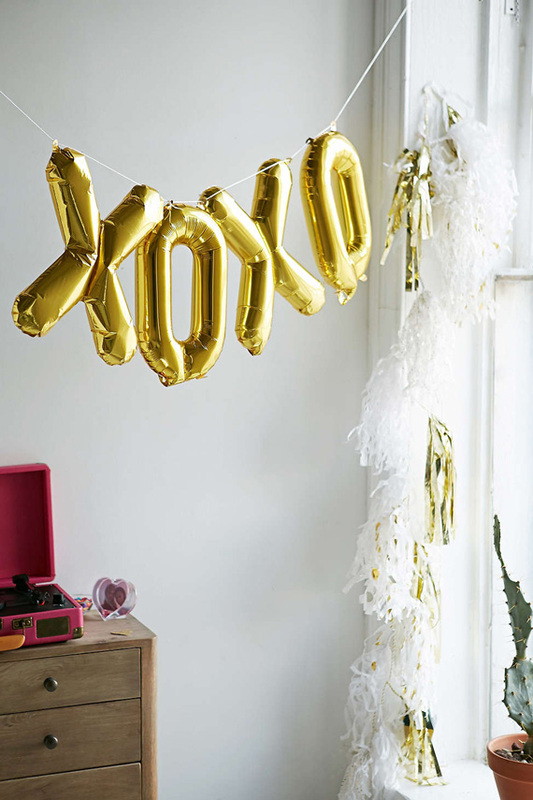 Fitted with easy self-seal tabs, you just add the XOXO balloons to a colorful string + hang!